Do you have one of those old friends who no matter how long it’s been, whenever you get back together you can pick up just like you had seen each other yesterday? I have some of the two-legged kind but Fish Haul Creek is a place that is friend just like that. When I first moved to South Carolina, I photographed at Fish Haul about every other day. I haven’t spent that much time there recently. While there are always new ways to photograph there and you never know what will be on the mud flats, I’ve been trying to add more variety to my image library. Still it feels great to come back and I think there is no better time to be at Fish Haul than the fall (ok, there is one week in late spring that gives fall a run for the money). Part of what makes fall so great is that all the chicks have hatched and fledged both from birds that nest in South Carolina as well as those that nest all up the Atlantic. And it seems like once the birds can fly, the parents take the families down to this piece of paradise. 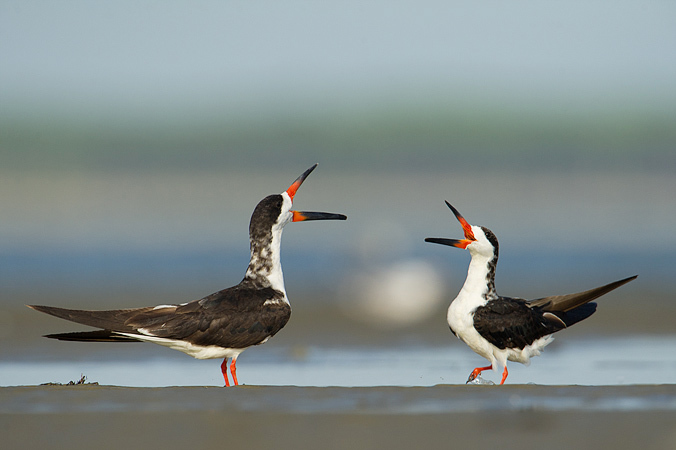 That means that when the tides are right, you can find the water’s edge full of gulls, terns, skimmers, shorebirds, herons, egrets, and almost any other saltwater feeding bird you can think of. 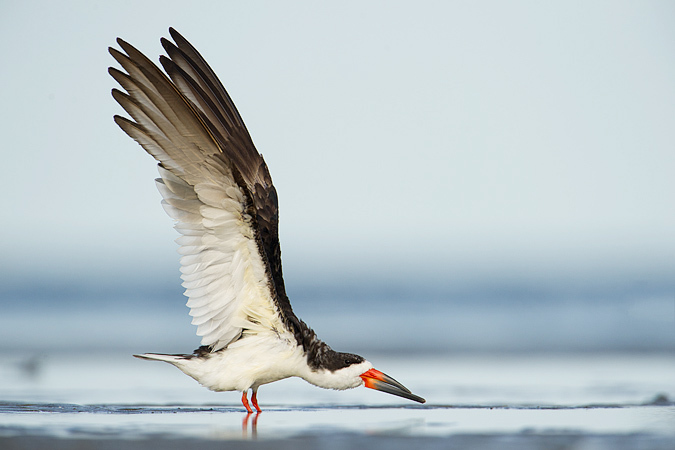 I spent a lot of this afternoon with the Black Skimmers. Their ridiculous beak always makes them look so comical, perhaps never more so than when they are showing each other some attitude. These types of interactions are fairly common this time of year when everyone wants to protect their spot on the sand. The reason most of the birds come to Fish Haul Creek is for the food. About one month in the summer is perhaps the only dead time here because everyone is busy raising families, but at any other time they come to eat! It is the tides that bring the food. The tide goes out revealing the mud flats which are littered with crabs, worms, and countless other invertebrates. 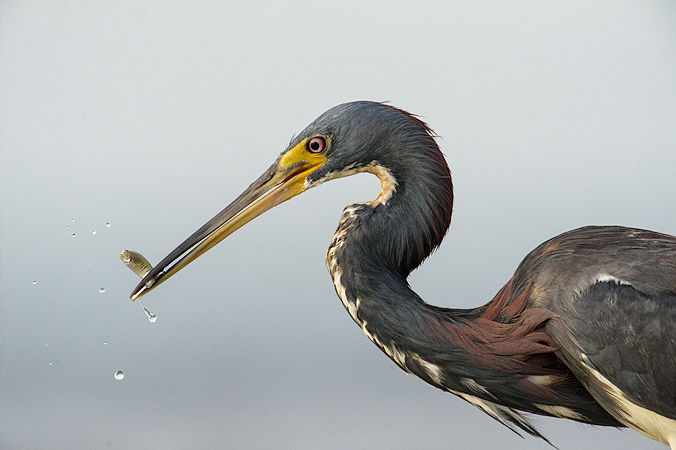 Many of the birds, like this Tricolored Heron, come for the fish. The fish are left stranded in pools formed by the tides or they swim out and back when the water levels change. Either way that makes for a smorgasbord for any bird willing to get its feet wet. Anyone who has taken a class or workshop with me knows that I always advise people to stick with the common animals instead of hunting down the rarities. If you try and search out that one rare animal you almost always end up with no photos and even worse run the risk of disturbing the animal. 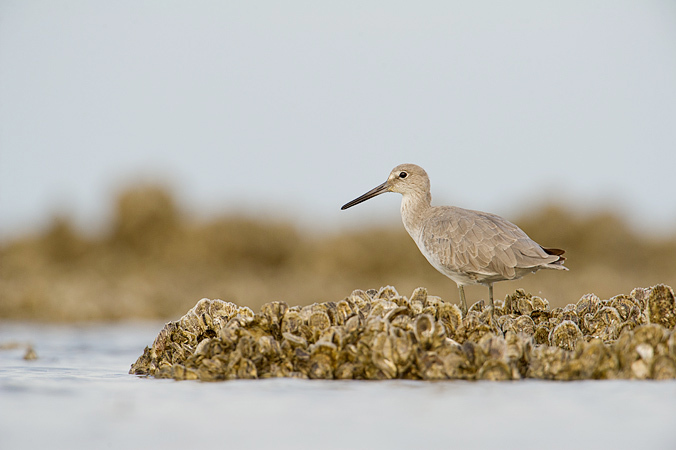 Today I followed my own advice and spent some time with the Willets that were feeding among the oysters. I knew there were some gorgeous American Oystercatchers hanging around but they were skittish and trying to approach them was most likely just going to scare the birds. Often when you work the braver birds like the Willets the other shyer birds will join in after it seems like you are no threat. The oystercatchers never join the party, but I had a blast with the Willets anyway. They were catching small crabs and other crustaceans that started to move around when the water returned. It is great to see your wonderful photos and interesting commentary! Fact of the matter is that no matter how “common” some birds can seem, they are such a gift to us on the Island. Behaviors, colors, variety – we get it all at FHC. Thanks so much for posting!